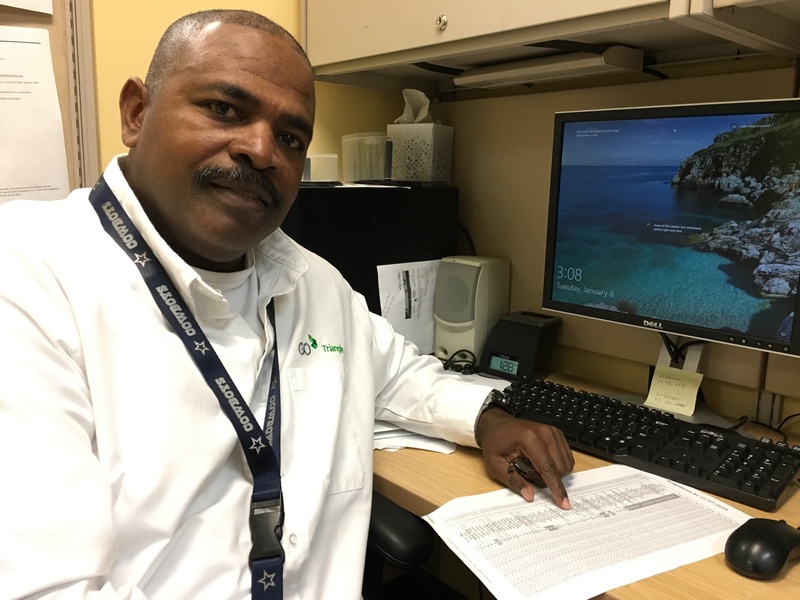 Finding the DRX buses that had run that day wasn’t easy, but Williams used the bus operators’ assignment log to cross-reference and locate each bus by its number. One bus. Two buses. On the fifth bus he searched, there, nestled between cushions, was the wallet. Williams was jubilant. He returned to tell his supervisor that his hunch that the wallet was on a parked bus had paid off – he had found it. Meanwhile, Sharon Zhang, who had lost the wallet, and husband, Mike, two international graduate students from China, were worried. Little did they know that just 12 hours later Sharon would have her wallet back – with her money and credit cards intact – thanks to GoTriangle staff who decided to go beyond to help two strangers. At 5:30 p.m. that Friday, the two students had boarded the DRX from Durham and disembarked at the Carter-Finley Park-and-Ride stop to drive their car home to Raleigh. At 7 p.m., Sharon realized that her wallet was missing, and they began retracing their steps. At the bus stop, they were searching the ground when GoTriangle Safety and Security Specialist Joe Biondi happened by on his way to a hockey game. When Biondi asked the pair whether they had lost something, he learned that the wallet could have been dropped on a GoTriangle bus. Off-duty, Biondi nevertheless jumped into action, boarding the next DRX bus that came to the stop and asking the operator, Eric Young, to radio GoTriangle’s dispatcher on duty to alert all DRX operators that the wallet may be on their buses. Williams, who was working at the Dispatch office, got the message. He immediately broadcast to operators that there was a “lost item” on a DRX bus but says he quickly realized that the wallet could be aboard a bus already parked at Transit Operations. After finding the wallet full of money and credit cards, Williams attempted to call Biondi back, but the phone number he had for Biondi was wrong. Undaunted, Williams called Jimmy Price, GoTriangle safety and training manager, who gave him Biondi’s correct phone number. Williams relayed the good news to Biondi, who asked him to seal the wallet in an envelope so the couple could retrieve it from GoTriangle’s Lost and Found. 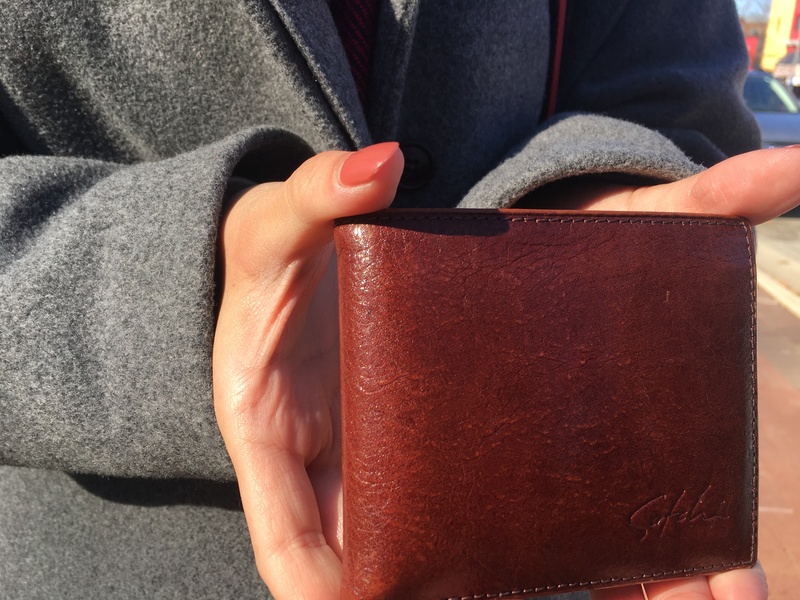 The next morning, the Zhangs called GoTriangle’s Lost and Found to inquire about the lost wallet, and 10 minutes later, they received a return call with the news that they could pick it up at the Regional Transit Center’s pass sales office in Durham. 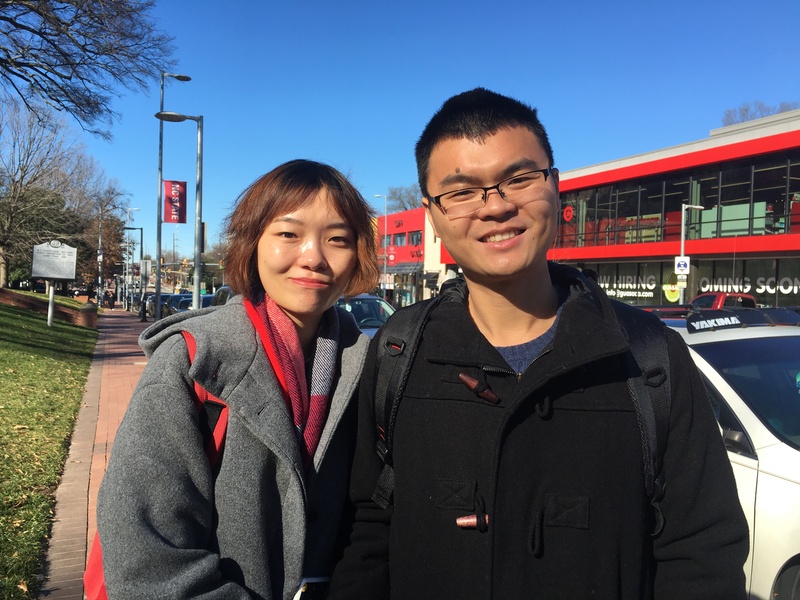 The two students say they are grateful to have the wallet back with all of its contents and are impressed with the kindness of the GoTriangle staff.